Abu Dhabi, 11 September, 2012- Highlighting its commitment towards the society, Finance House PJSC (FH), has announced its collaboration with the Penal and Correctional Institution in Dubai through the purchase of high quality hand made craft products produced by the inmates, to replace the usual corporate gifts distributed to clients of its group of companies, following the meeting that gathered Major General Mohammed Hamid Al Suwaidi, General Director of General Department of Correctional Institutions at Dubai Police, and Mr. Mohammed Abdulla Alqubaisi, Chairman of Finance House. Commenting on this initiative, Mohammed Abdulla Alqubaisi, Chairman of Finance House said: “The step taken by FH complements the initiative of supporting talents and local products that was launched last year which is in line with our corporate social responsibility strategy being a company committed to create a positive impact in the society. 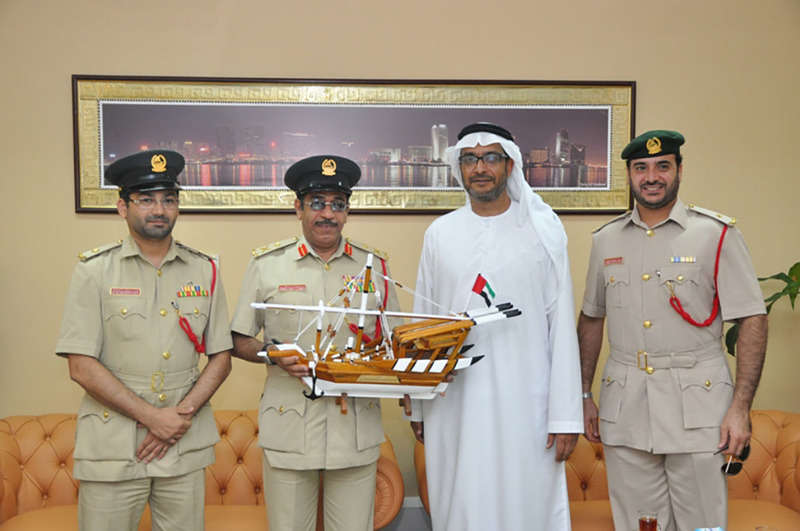 Our collaboration with the Penal and Correctional Institution in Dubai is a gesture to show our support for the rehabilitation and reform process carried out by the inmates, in order to facilitate their reintegration into society by providing them with an honorable profession to help them cope with life after serving their sentence so that they become productive members in the society”. “We at FH have adopted a wide range of corporate social responsibility (CSR) activities like supporting local products, cultural and sports events, in addition to environment protection and commitment to Emiratization programs. We consider these issues as our mission towards creating a positive impact in our community”, concluded Alqubaisi. The Penal and correctional institution in Dubai invests the potentials and capabilities of the inmates, to sharpen their skills, with the aim of rehabilitation and reform. This is done by encouraging them to work daily and present a number of rehabilitation and educational programs, through different workshops for different trades that would give the inmates the chance to choose what correspond with their skills and inclinations, according to set plans of training and education to support their rehabilitation and reform process. The craft products demonstrate the local Emirati culture and heritage icons like Mandoose, Sanbouk and Kuwar where it requires high engraving and carpentry skills with big attention to details as copper and wood enter in the production of such products. In 2011, FH purchased local merchandise and products from a number of local producers, to support artists and craftsmen and to connect the community with the heritage and soul of the UAE as corporate gifts distributed to clients of the company.